I’m Valmont Bérubé and my son, Carle Bérubé. I was a general contractor for the past 25 years and a building inspector for 14 years. 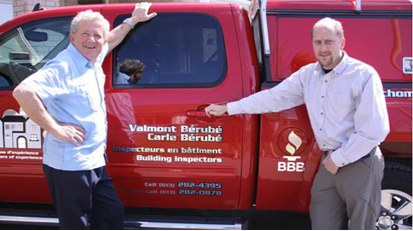 Carle has been in the construction business since 1994 and a building inspector since 2005. 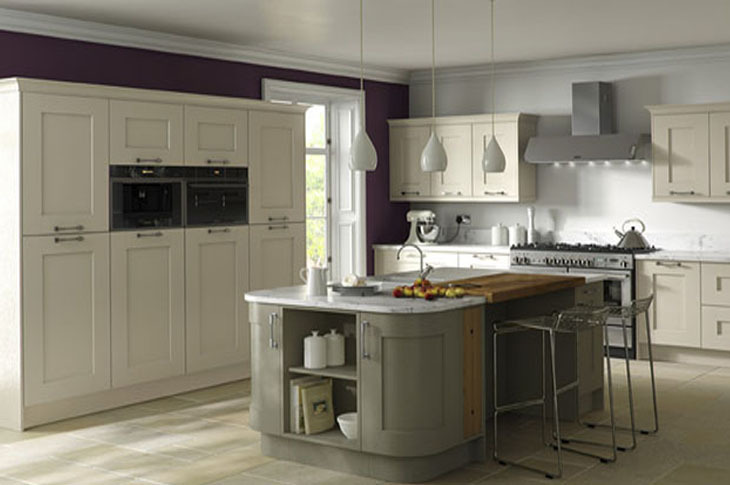 As of 2013 Carle has become the primary inspector of our business. 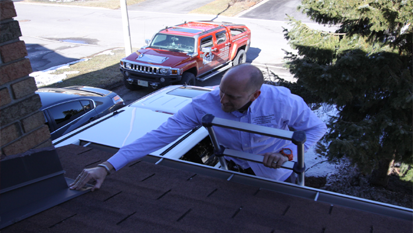 He does building inspections from roof to foundation, followed by an extensive Inspection Report. We have vast experience in building and renovating solariums, decks, houses and flooring. We also have knowledge in electricity and plumbing. Carle and I were hosts of a television show entitled 2 x 4 on Rogers Cable Channel 23 for 9 years. What does a HOME INSPECTION include ? 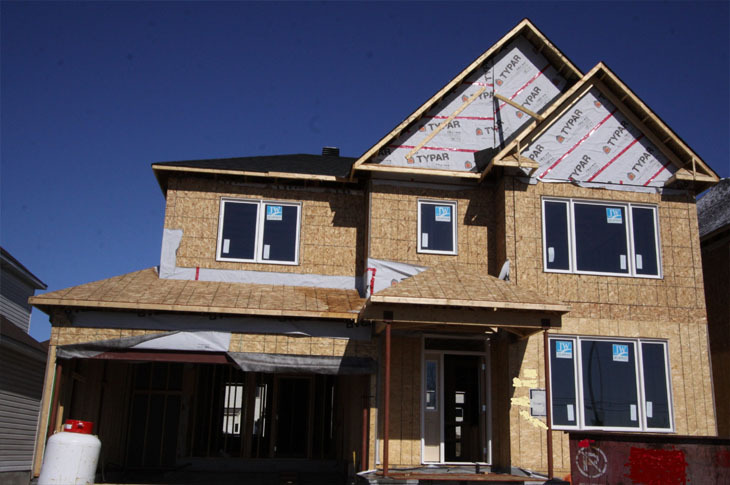 Grading, window wells, eaves troughs, sidings, soffit & fascia, trim, roof covers, chimney, garage, steps. 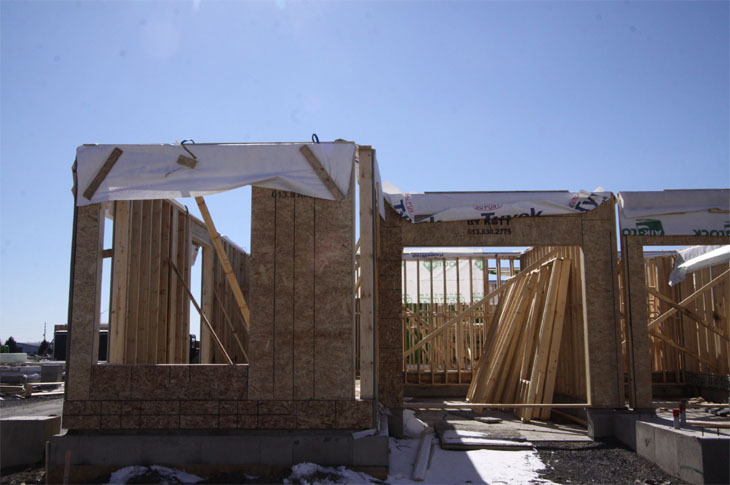 Foundation, roof sheathing, walls, interior support, basement water problems, roof support. Heating plant, fresh air, network, base board heating. Service, supply, water heater, waste drainage, sump. 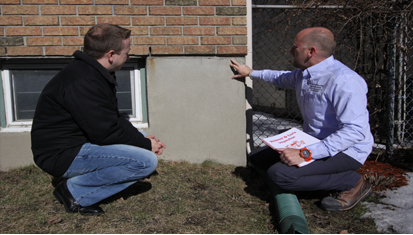 Type of insulation, attic venting, crawlspace, vapour barrier, weather stripping & sealing.